Although Garrett wasn’t a licensed architect, he was a structural engineer who designed several mod buildings around town. His company, Atlas (aka B&G) also built many structures, including Founders Tower, Founders Bank, Regency Tower, etc. May 9, 1925 – May 16, 2017. Calvin was born to Harvey and Lurline Garrett in Okmulgee County, OK on May 9, 1925 and died on May 16, 2017 in OKC. He graduated from Osage Hill Elementary School, Beggs High School and OK A&M College (now Okla. State Univ.). During World War II he was a pilot in the Army Air Corps. After serving his country, he graduated from OSU with a Bachelor’s Degree in Civil Engineering and a Master’s Degree in Structural Engineering and Soil Mechanics. He was by education a Structural Engineer and by experience a General Contractor. He was president and owner of The Atlas Organization, (TAO) and he leaves, as a legacy, some historical landmarks/ buildings in Oklahoma City, the United Founders Tower; Founders Bank (now Bank of America), Regency Tower, and many other buildings in OKC and across the state. 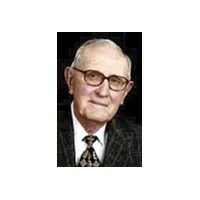 He was a longtime member of Quail Spring Baptist Church and at the age of 90, he received a United States patent for his invention of a Directed Flow Wind Turbine.